We have started a new online academy to help artists grow their businesses. This is where we will keep all of our educational material. You’ll learn marketing strategies find venues, sell more tickets, and excel as an entertainer. 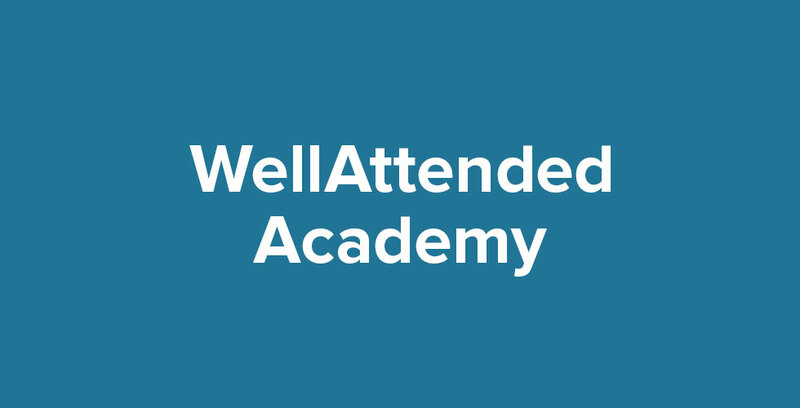 In the WellAttended Academy you will find our free ebooks, the WellAttended podcast, the WellAttended Summit, and online courses by Brad Montgomery. We will also be updating it monthly with new resources. So, be sure to bookmark the WellAttended Academy in your browser. 20+ professional entertainers, producers, and actors share their secrets on how to be successful. Brad Montgomery teaches comedy techniques that you can use to make your shows funnier and increase the connection between you and your audiences. Brad Montgomery’s one-stop audio course with all of the REAL shortcuts, secrets, and details of how to get started in the speaking business. Have you ever wondered how many days before an event people buy tickets or what times people buy tickets? We conducted a study to answer these questions so that you can more effectively promote your events. Download our ebook and start selling more tickets today! Want to sell more tickets to your events? Learn the essentials of how to make an awesome website, how to effectively use newsletters and social media, how to write compelling content, and how to use your box office to build repeat patrons. WellAttended is a theatre and event marketing podcast for producers looking to increase their ticket sales. William Rader interviews today’s most successful event producers once a week, so that you can learn new ways to promote your shows. Each episode ends with actionable advice that you can immediately use to increase ticket sales.